The light-curing paste stains are fluorescent, can be applied almost as thin as porcelain and cure fully after short curing time due to newly developed multifunctional monomers and photo initiators. 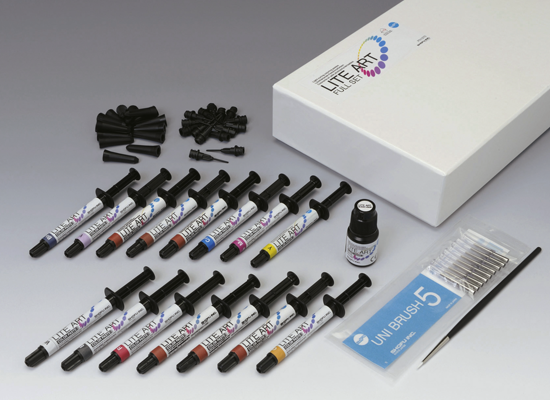 Lite Art stains adapt perfectly during the application of internal colour modifications in resins, composites, artificial teeth or hybrid ceramics. Simply by covering the polymerised stains with an incisal or translucent composite layer, fine and very specific natural internal accents will be achieved.